The article presents a new model for understanding the sudden success of prose in four literatures: Greek, Latin, French and Old Norse. Through comparison and quantitative observations, and by focusing on the success of prose rather than its invention, it is shown that in all four cases two or three decades were crucial for creating prose literature. This turn can be described by the term »librarization«: the fact that private book collections and reading habits emerged helps us understand the space into which a host of prose writers were suddenly writing. This reading habit factor (inlcuding reading aloud) has been underplayed in previous scholarship mostly focused on authorial choices and invention. For two of the literatures (Greek, French) the fast dynamics of the rise of prose has already been identified and discussed, but for the two others (Latin, Old Norse), the observation is new. It is also suggested that the exactly contemporary rise of French and Old Norse prose (c. 1200-1230) most probably is connected. The four literatures are each shown in chronological charts so as to visualize the timeline and the relation between poetic and prosaic works. 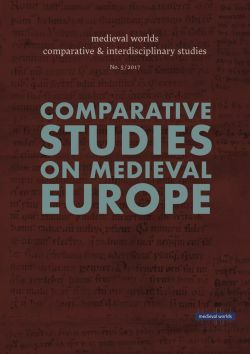 The article furthermore reflects on a number of characteristics and implications of prose literature by drawing on comparisons and contrasts between the ancient and the medieval, important among which is the profound effect of prose librarization on the canonization of existing poetic literature.